satisfactory | journalmehealthy: is what i see in the mirror real? According to Webster’s Thesaurus, the terms satisfactory and enough are synonymous. 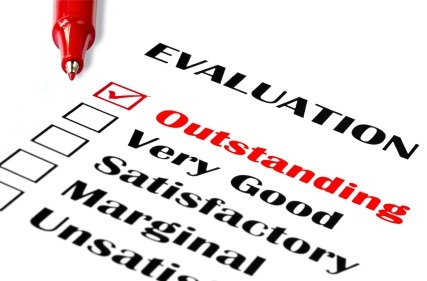 On an evaluation form, satisfactory generally means “meets minimum standards.” For some reason, that choice bothers me as much as unsatisfactory or “below minimum standards.” Maybe it’s because I know there is more in me than average. Maybe it’s because I spent my childhood and teenage years thinking I was average others saw me as average. Maybe it’s because I knew there was more, but didn’t have a clue how to get beyond the thinking that others saw me as average. I did well in elementary school when I applied myself, and I had the support of educator parents who continually made me accountable. But I wasn’t the best. There was always someone better. In academics. At piano playing. At drawing. At popularity. At fitting in. At everything. (I’m sure there were some who were behind me at some of those things, and I suppose it’s a good thing that that didn’t make me feel better. I truly never wanted anyone to feel “less than,” as I did.) Consequently, I felt lost in the crowd. Average. Unexceptional. Unnoticeable. And, consequently, I frequently made choices that might make me noticeable in the wrong way. A few things in my life made me feel valued. First, I was born into an exceptional family. I was the baby on both sides and was quite aware of how much impact my extended family were and still are. Second, my brother who was nearly six years older trusted me with the secret that he possessed a Carpenter’s album, carefully hidden under his clothes in a drawer, and discreetly played when our parents were out of the house. (Yes, I know some of you are shocked to know the secret, while others are questioning the need for a Carpenter’s album to be hidden. For any reason. It was my life, folks. Challenging to explain to those who had different experiences.) Third, my brother not only chose to marry a beautiful girl I already considered a friend, but they both wanted me in their wedding, and they both wanted my 14th birthday to be special – my first time at King’s Island, riding roller coasters and laughing at Chris’ antics. It was special indeed. Less than three months later, my world changed drastically. The dynamics in our home were something akin to attempts at keeping a full glass of water from spilling a drop on a table with one leg significantly too short. Suddenly an only child, I was lost in a cloud of grief. I didn’t expect comfort from my parents, as they were experiencing more grief than most can handle. Somehow I survived by minimizing my grief, telling myself I wasn’t important enough to feel so sad. My grades dropped because my head wasn’t in the game. The feelings of “only average” became my automatic thoughts, supported by average grades and average standings as I graduated high school and continued in college until I quit after only three semesters. For twenty + years, those thoughts ruled my life and led me to make choices that proved them valid. Until ten years ago. When I started believing in myself. And started back to college. I can’t say that I’ve “arrived,” but I gain ground each time I step forward and believe I’m capable of accomplishing, not just doing, what I want in life. And I remember a conversation from a few years back. I went to a movie with a much younger male coworker, for a break from studying. Somehow the conversation became an unexpected sharing with a trustworthy friend my struggle in feeling average over the years. When we parted ways, he said, “You are not average. You have plenty to offer.” I held onto that and had to start believing in order to be exceptional. As I worked at being exceptional in obtaining my degrees, I encountered those who challenged my effort, telling me that as long as I got the diploma, employers rarely notice the actual grades. That could be true, but I can know that I did my best, and that is not average. (I was actually surprised when friends told me they knew all along that I had exceptional in me.) And as I recently received my first evaluation on my latest side hustle of teaching college students, having challenged myself to be “better than I was yesterday” has proven worth the effort. Previously, I would mentally take myself to the proverbial woodshed each time I made a mistake. Now, I ponder what I can learn and how I can do better the next time. And I look objectively at constructive criticism. I’m not better than anyone else, but I strive to be above average. And I find it much easier to offer grace to others who aren’t at the same place in their journey. Albert Einstein once said, (Vicky’s translation), “Try not to become a [woman] of success, but rather try to become a [woman] of value.” When I see behaviors in others that are less than complimentary, I want to give myself a check of accountability to prevent curb that behavior in myself. Satisfactory is NOT enough! My desire is to be exceptional. Not better than the next person, but my best self! I have a long way to go. It won’t be easy, but it is possible.